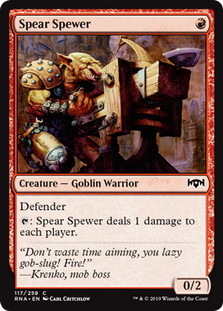 Welcome to my guide to drafting Ravnica Allegiance. While you see a lot of these articles at the very beginning of a format (including one from me), I thought that, now that I have some experience under my belt, it would be good to write a guide now. 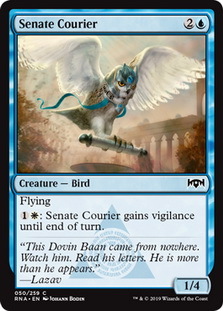 This should prove much more valuable than one at the start of the format when I (or anyone else) has barely played it. Speaking of that original article, let's go back and touch on a couple of things. I think I got most of this part of my article correct. 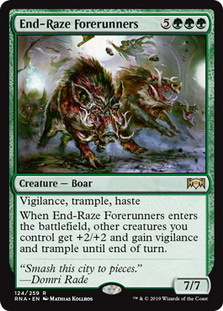 However, End-Raze Forerunners hasn't proven to be that effective, and I would not include it in that list now. For the most part, though, I am still happy with this list. I was a little off in my assessment of the good removal. Now that I've had a lot of chances to play it, there are a couple of corrections I would make. 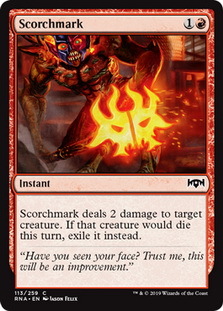 I would take Scorchmark out of that list now; while it is still important - especially against Orzhov - it is a little too weak. 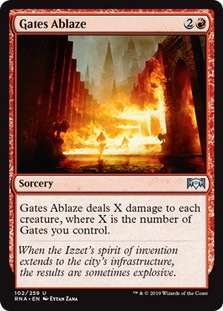 On the other hand, I had Summary Judgment , Grotesque Demise and Gates Ablaze in the Average Removal section - these three cards have just proven to be very effective (though Gates Ablaze is only good in the Gates deck - see later). Ok, now to the meat of the article. Below is a guide to drafting what I think is the best version of each archetype. 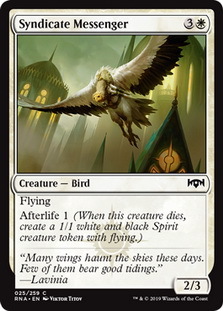 While I initially thought white/blue wanted to be a controlling colour pair (and it totally can be), I think the best version of this deck is actually the classic 'skies' deck. 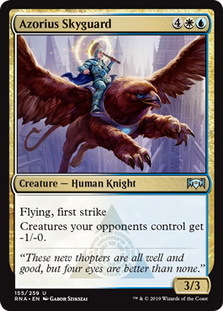 This guild has quite a few low-power, high-toughness creatures which can be used to provide good, early defence, and also a bunch of flying or evasive creatures that let you get in for damage to finish the opponent off. Done right, this can be one of the better archetypes; my win rate with Azorius is higher than any other archetype at the moment. The way I usually end up in this deck is by seeing cards like Lawmage's Binding , Azorius Skyguard , Azorius Knight-Arbiter and especially Chillbringer picks 4-7. 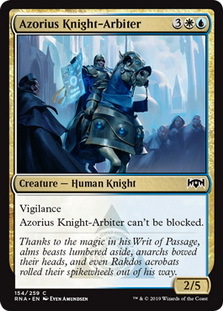 This usually gives me a good indication that Azorius is open (or simply blue is open for Chillbringer) and I tend to move in. 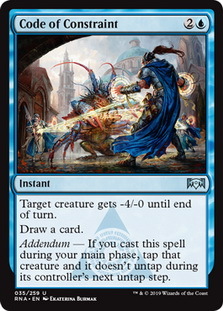 I also tend to favour blue spells over similar power level cards picks 1-3, so I do end up in this deck a bit more often. 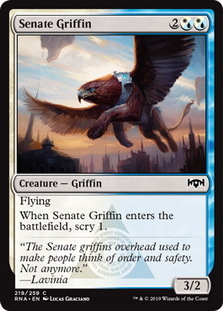 Best Commons For This Deck: Azorius Knight-Arbiter , Chillbringer , Faerie Duelist , Lawmage's Binding , Senate Courier , Senate Griffin , Syndicate Messenger . 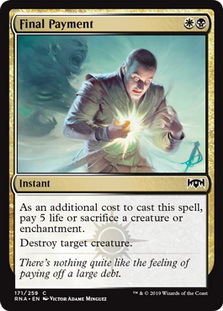 You don't want too many of the four and five-drops, but you do need some amount. Chillbringer is the best one. 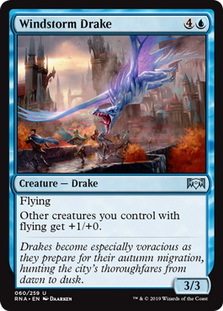 Best Uncommons For This Deck: Azorius Skyguard , Sky Tether , Windstorm Drake . 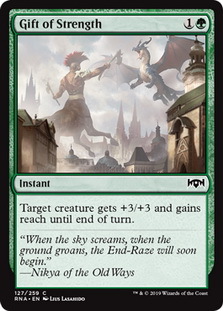 Sky Tether is a 1-mana removal spell in this deck, and you should take it highly if you are in it. 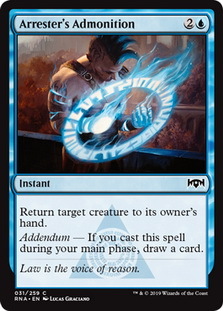 It will be the best removal spell in the deck. 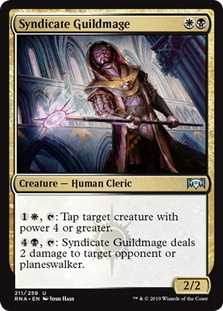 I initially had Rakdos as the weakest guild, but I'm no longer sure that is true. 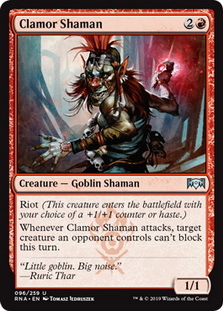 I have drafted (and won drafts) with aggressive Rakdos decks, and they feel quite strong. 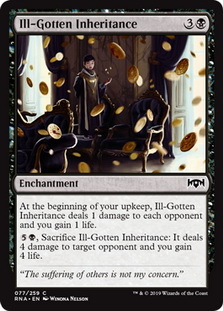 You don't even need to be all-in aggro; thanks to Ill-Gotten Inheritance , if you can get in some early damage, the enchantment can close out the game later. 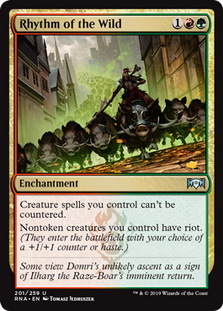 I'll happily have two in my decks; I haven't tried three yet, but that feels like it might be too much. 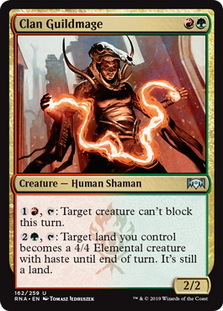 Getting into this deck is simply a matter of seeing some of the better cards from pick 4 onward. 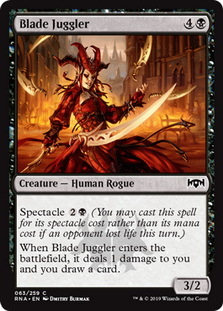 If I see something like a Blade Juggler , Fireblade Artist or Rakdos Firewheeler I take it to be a sign that the guild is open. 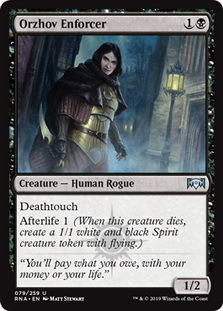 I'll then start looking to draft aggressive creatures to get in that early damage, with a few late game cards like Ill-Gotten Inheritance to close things out. 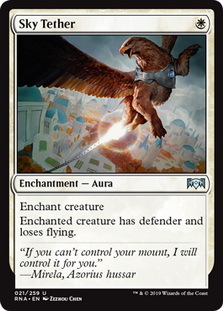 Cheap removal is also important; you want to be able to get your opponent's blockers out of the way. 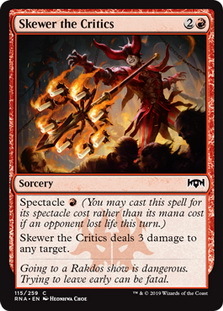 Best Commons For This Deck: Blade Juggler , Get the Point , Grotesque Demise , Ill-Gotten Inheritance , Plague Wight , Rakdos Roustabout , Rakdos Trumpeter , Scorchmark , Skewer the Critics , Spear Spewer . You don't need all of these, but you do need a good amount of two and three drops to make this deck work. I really like Plague Wight in this deck; it's quite difficult for your opponent to block them, so they usually contribute a decent amount of damage. 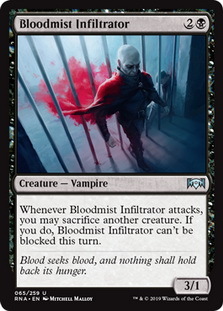 Best Uncommons For This Deck: Bloodmist Infiltrator , Clamour Shaman , Cult Guildmage , Fireblade Artist , Hackrobat , Rakdos Firewheeler . 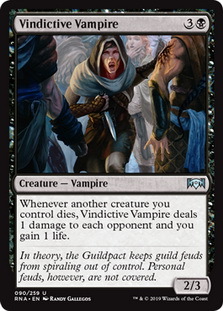 Fireblade Artist is my favourite of these cards; it can help end games in the same way Ill-Gotten Inheritance does. 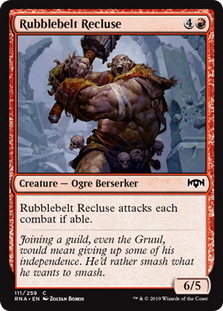 Gruul is probably my pick for the weakest guild at the moment. But that's not to say it is weak and you can't win with it; on the contrary, I have won with it, and I have been smashed by it. 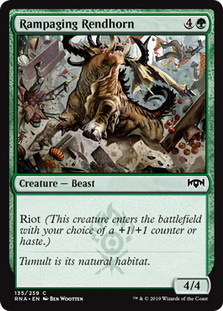 The problem with Gruul is that most of the cards you really want to make the deck work are at uncommon; if you don't get good commons, you will have a bit of an issue. 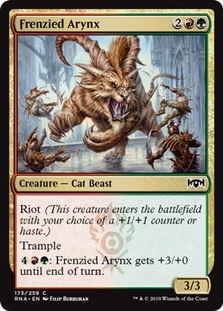 It's best common - Frenzied Arynx - is a 4 drop, and there are only so many of those you can have, especially as there isn't any cheap, common ramp cards. 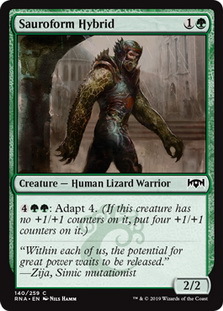 The two-drop you really want, Sauroform Hybrid , is also in high demand by Simic drafters, so you can't rely on that either. 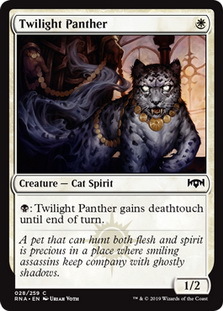 Having said that, there is still a good version of this deck. 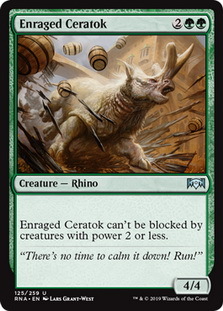 You really need to curve out, with two, three, four and maybe five drops, backing it up with pump and fight spells. 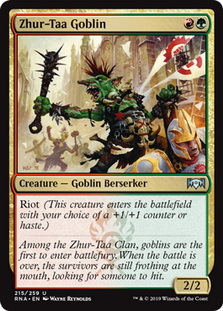 While I don't actively try to avoid drafting Gruul, the way I normally get into this deck is if I see Rhythm of the Wild or Savage Smash picks 4-6. 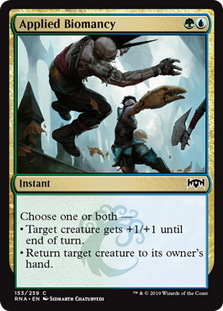 These are the two cards that make this deck tick (besides the creatures), and I'll usually move in when I see these. 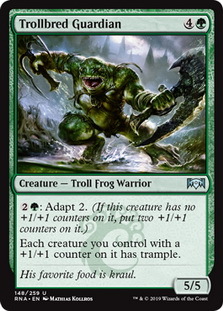 Best Commons For This Deck: Frenzied Arynx , Gift of Strength , Gravel-Hide Goblin , Rampaging Redhorn , Rubblebelt Runner , Sauroform Hybrid , Savage Smash , Titanic Brawl . 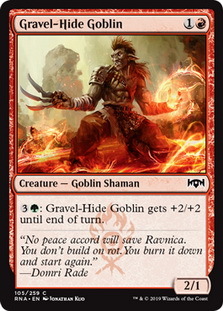 Gravel-Hide Goblin is the least important of the two drops, but you need some amount to really put your opponent on the back foot, and it does its job. 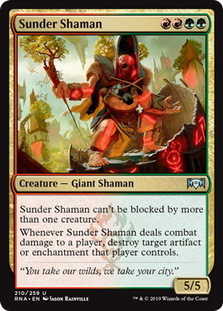 Best Uncommons For This Deck: Clamor Shaman , Clan Guildmage , Collison/Colossus , Enraged Ceratok , Rhythm of the Wild , Sunder Shaman , Trollbred Guardian , Zhur-Taa Goblin . 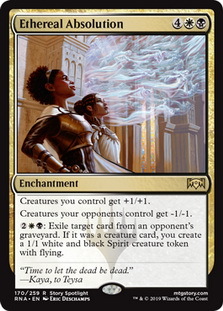 The Orzhov deck tends to be a bit of a grindy, wear-you-down type of deck, and is quite strong. 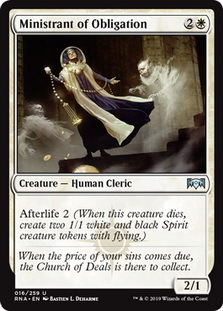 It also has the advantage of being able to cast Ethereal Absolution the easiest! Because of the perception that this is the best guild, I find it difficult to draft good versions of this deck at the moment; you really want to make sure it is open before fighting with other people over it. This is the self-correcting nature of draft, and one of the reasons I love it. Generally speaking, the way I do find myself in this deck is by seeing any of the gold cards in the list below from pick 4 onward. 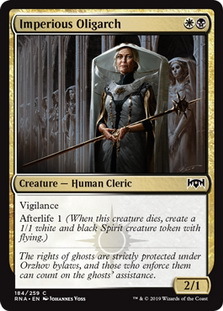 To me, this is usually a pretty clear sign that Orzhov is open, and I will start taking those cards. 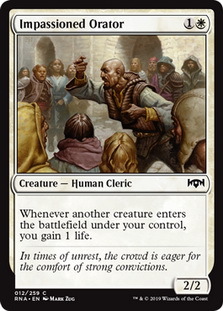 Ideally, I try to start in white (or blue) if there are decently powerful cards, so moving into Orzhov is often easy. 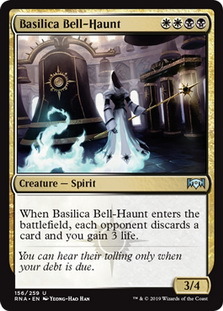 Best Uncommons For This Deck: Basilica Bell-Haunt , Ministrant of Obligation , Mortify , Orzhov Enforcer , Pitiliess Pontiff , Syndicate Guildmage , Vindictive Vampire . 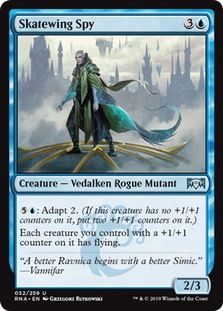 Simic is one of my favourite decks in the format to play. 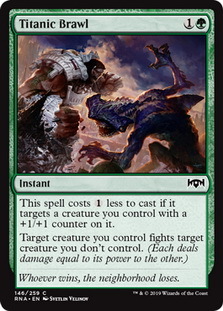 The ability to muck up combat for your opponent due to Adapt is quite fun (and quite frustrating for your opponent!). 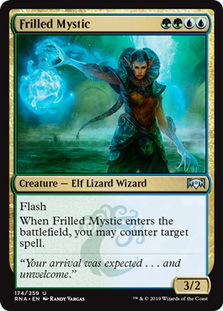 Initially, Simic looked like it would be a late-game deck, due to how mana intensive Adapt can be, but that's actually not true. 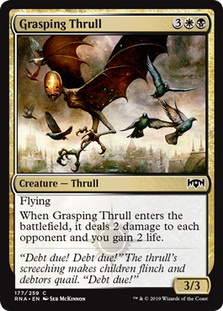 Instead, it plays as an aggressive tempo deck, using the threat of activation on your Adapt creatures to push through damage, and using cards to tap down or bounce blockers. 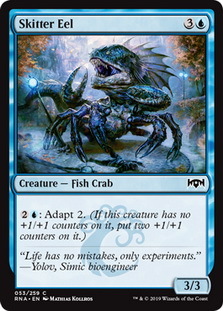 You basically want creatures costing 2-4 mana (and maybe one or two more than that) and that's it. 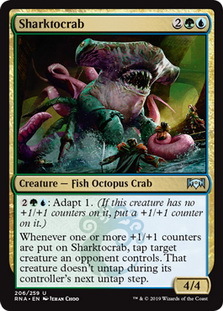 I move into this deck if I start getting past cards like Aeromunculus , Frilled Mystic and Sharktocrab . 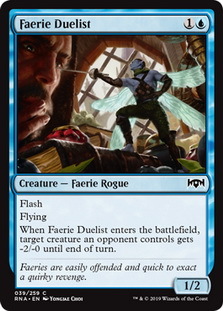 I often try to start my drafts in white or blue as discussed above, which helps if I start getting Simic cards. Best Commons For This Deck: Aeromunculus , Applied Biomancy , Arrester's Admonition , Chillbringer , Sauroform Hybrid , Skitter Eel . 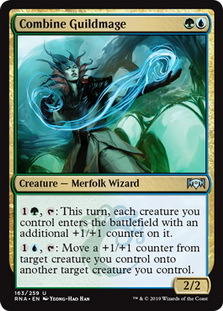 Best Uncommons For This Deck: Code of Constraint , Combine Guildmage , Frilled Mystic , Gruul Beastmaster , Gyre Engineer , Sharktocrab , Skatewing Spy , Trollbred Guardian . 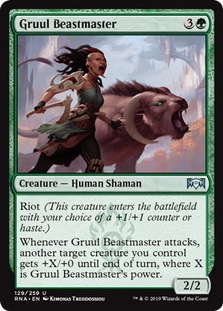 Even though Gruul Beastmaster says "Gruul" in the name, it is much better in this deck (which has flyers) than in Gruul. I've run out of room for this week's articles, so you get a two-parter! Next week, I'll go over some other draftable decks in this format, as well as some general tips for drafting and my individual card ratings.